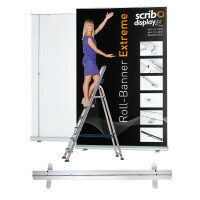 Roller banner stands are effective means of displaying a large volume of information in a clear and concise manner at a trade show or exhibition. 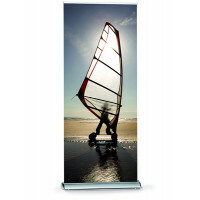 Our roller banner stands help you to inform your customers about your organisation's goals and achievements. 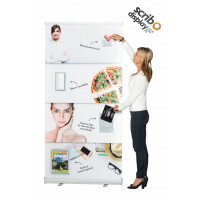 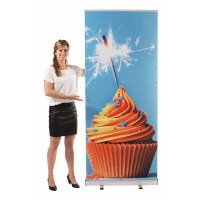 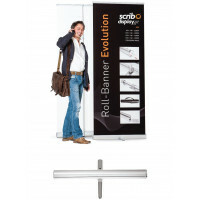 These roller banner stands are designed for focused and functional usage in various retail and exhibition environments. 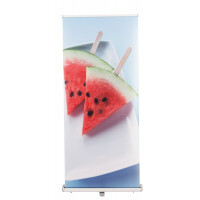 You can acquire the hardware, i.e, the roller banner stands from us and share your creative inputs with us for the design, printing and delivery of the banners that go with them. 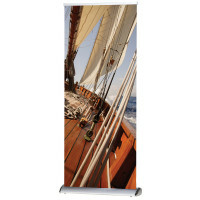 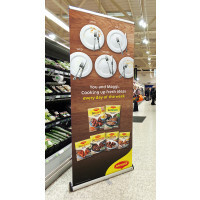 These eco-friendly, portable and reusable roller banner stands are used by both trade and end user customers for fulfilling their display needs. 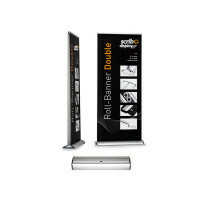 Take a look at our extensive range of roller banner stands to find the most suitable hardware to be used at your upcoming trade shows and exhibitions.